Extend playtime with the Nintendo Switch Joy-Con AA Battery Pack. 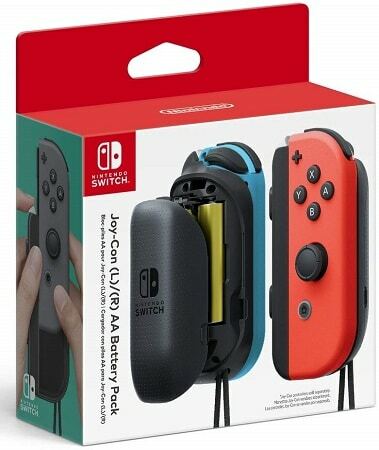 Designed to connect with your existing Joy-Con controllers, this pack includes two battery packs and four AA batteries. This compact battery pack makes a useful addition to your gaming kit, and will allow you to keep playing longer without charging your controller.